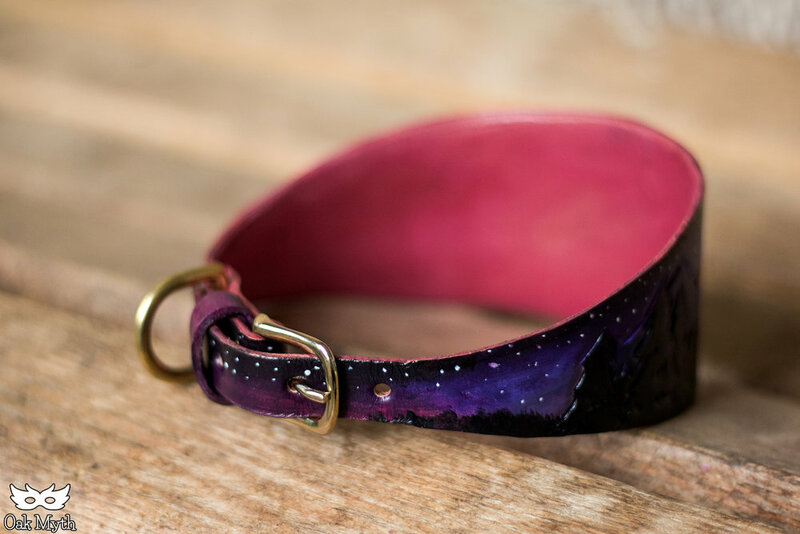 Here we will aim to answer frequent questions regarding our collars. Design options, price guide, and more! If you cannot find what you are looking for, feel free to email us. Our padding option is a hand sewn addition of garment leather on the back of the collar, which can be just about any color you can think of! If we can mix the color, we can apply it to the collar. 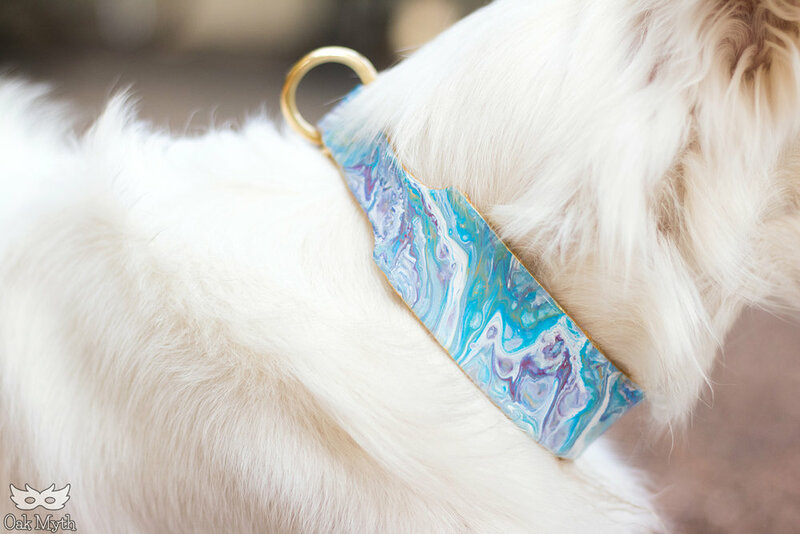 This option creates an eye pleasing border and can be added to any collar for an additional $30. Simple, sweet, and lightweight. If no padding is more to your taste then we can absolutely leave off the additional layer. 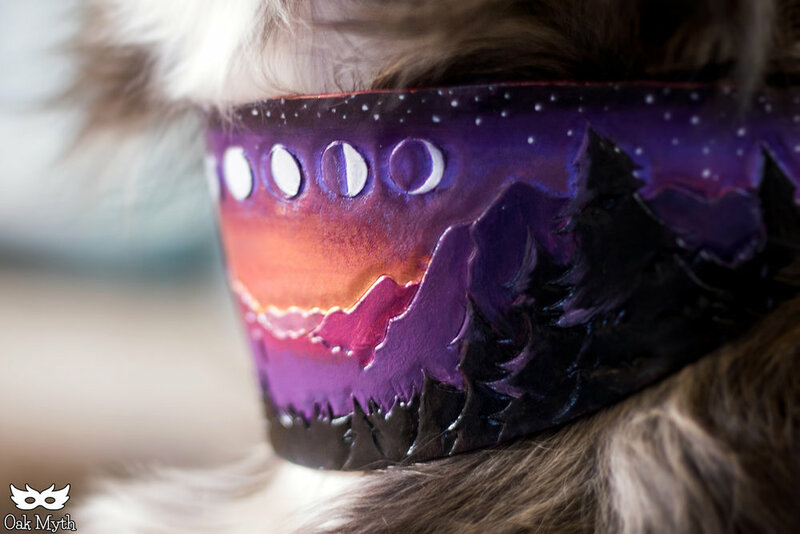 Part of the fun of this style collar is how little control one has over the paint. Pick your colors and enjoy the surprise! If you're a fan of shiny stones in fun patterns, this is the collar for you! Hand carved tooling is one of our specialties and we love the elevated, sculpted look it can give to a leather piece. With the addition of our new laser cutter/engraver, we now can make finely detailed cuts for a beautiful layered look. 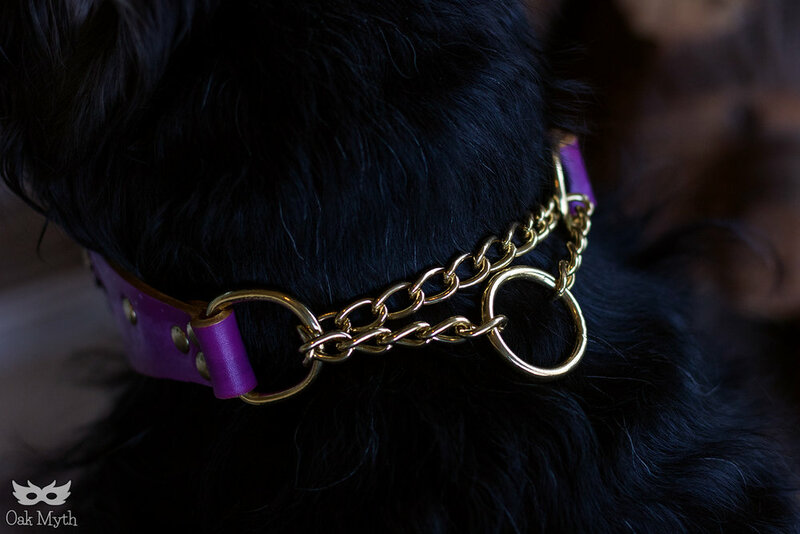 We currently make limited slip, buckle, and martingale gain style collars. These are base prices for limited slip collars! Length measurements are for the smallest part of your dog's neck, right behind the ears. Total length are the measurements in the top row, while collar thickness are the measurements in the left most column. For example, if your dog's neck is 15 inches at the thinnest, and you want a 3 inch thick collar, you would pay $80. Add-on items like leather padding, buckles, martingales, decorative rivets, and tooling will be an additional fee. Padding is a flat $15 extra, while rivets and tooling depend on how simple or complex the design is. Please feel free to contact us for a quote! C - Around the base of the dog's neck. 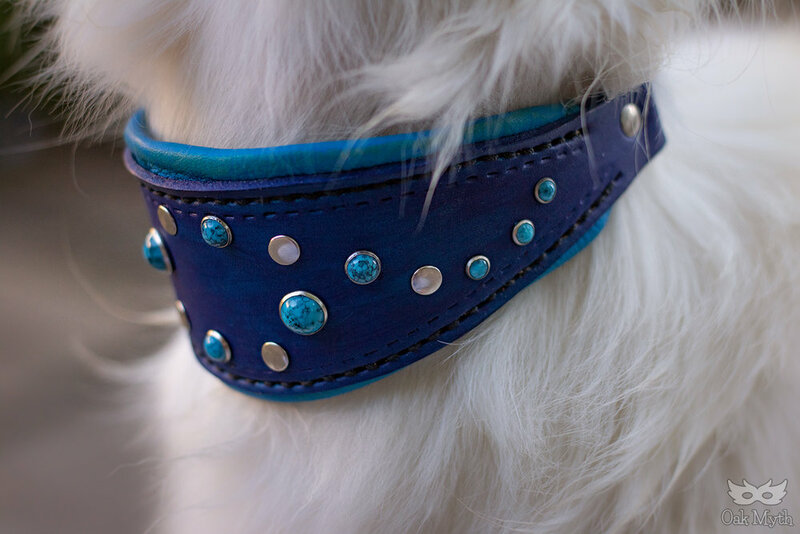 For slide release and buckle collars, measure around the dog's neck where you would like the collar to rest (usually in the middle). Use cloth measuring tape, or a piece of string and a ruler. Make sure there is no slack, but don't make it tight either! Measurements should be taken flush against the neck. With limited slips, we will make the collar 1 inch smaller than the B measurement so that it tightens without slipping off the dog's head. Belt buckle style collars will have holes punched at 1" intervals with a few both above and below the dog's neck size.